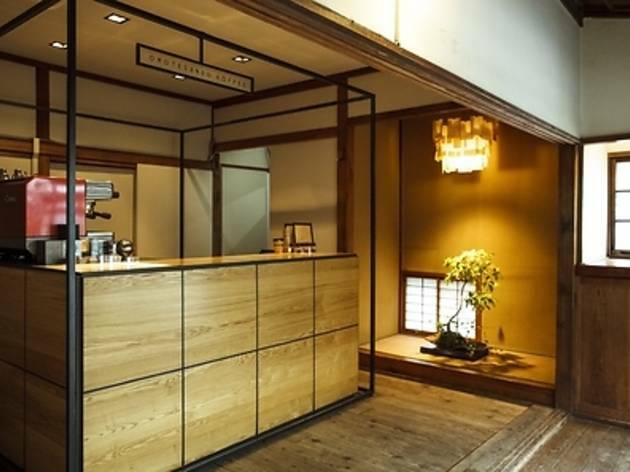 Omotesando Koffee closed for good at the end of 2015. Good luck finding this intriguing coffee shop on the backstreets of Omotesando. Owner Eiichi Kunitomo is the man responsible for other caffeine dens including the nearby Bread, Espresso &, but his latest venture is far more distinctive. He works within a cube frame that can't be much bigger than 3 x 3 metres, pulling espresso shots on a pristine La Cimbali machine. 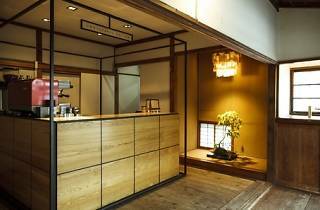 But this is a pop-up shop with a difference: it sits inside a 60-year-old traditional Japanese house. It's a slightly surreal setup, and also one that doesn't leave any space for sitting around, though there's a small courtyard outside which customers can use if the weather's good. The coffee itself is even better than what they serve at Bread, Espresso & – the macchiato got a particularly emphatic thumbs-up on our most recent visit – and you can also get dinky cakes to go with it. Cube-shaped, of course. Omotesando Koffee was originally supposed to be open for just 12 months, but a lease extension meant that it's become a slightly more permanent fixture in the neighbourhood.